While Bacillus Thurigensis spore-crystals have been used since the late 1960's in agriculture as a foliar insecticide, it was only after the advent of recombinant DNA biotechnology that these toxin-producing genes (known as delta endotoxins) were first inserted into the plants themselves and released into commercial production in the mid-90's, making their presence in the US food supply and the bodies of exposed populations ubiquitous. What the new study revealed is that various binary combinations and doses of Bt toxins are capable of targeting mammalian cells, particularly the erythroid (red blood cell) lineage, resulting in red blood cell changes indicative of significant damage, such as anemia . 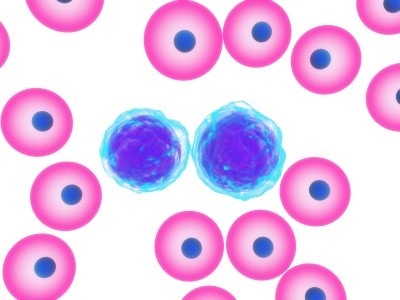 In addition, the study found that Bt toxins suppressed bone marrow proliferation creating abnormal lymphocyte patterns consistent with some types of leukemia. 4) That high-dose Cry toxin doses caused blood changes indicative of bone marrow damage (damage to "hematopoietic stem cell or bone marrow stroma"). The authors noted their results "demonstrate leukemogenic activity for other spore-crystals not yet reported in the literature." In the meantime, you can join the growing movement to March Against Monsanto , occurring world wide on May 25th, as a way of expressing your desire for real change, as well as vote with your forks, the only immediately effective tool we have against biological and environmental gene-ocide articulated by the dominant GMO-based food system. Listed below are links to blogs that reference this entry: New Study Links GMO Food To Leukemia. This page contains a single entry by Toni published on May 13, 2013 11:57 AM. Why We Must Fight To Label GMOs was the previous entry in this blog. Vaccines Do Irreparable Harm: Study from Poland is the next entry in this blog.